As you know, I am the partner of Emerging Europe, a UK company, who is helping to build business bridges between countries of UK, Scandinavia and Germany and countries of Emerging Europe (i.e. Central and Eastern Europe). I am reaching you out to tell about a new and exciting opportunity for your companies, your regions, business communities, clusters and technological parks. 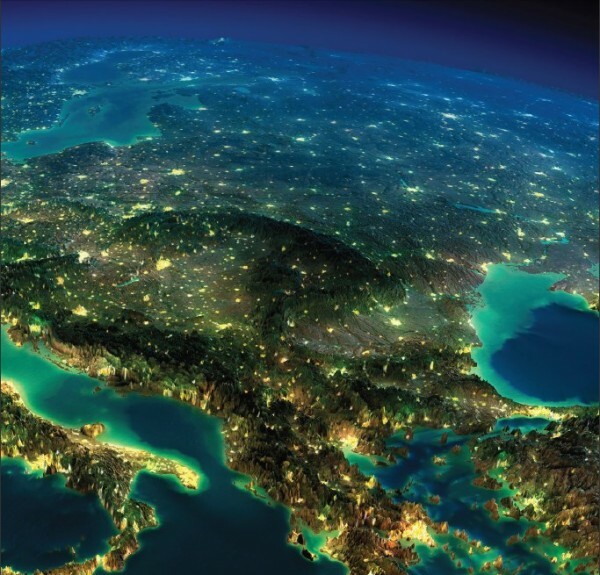 Emerging Europe is organizing a new event, focused on IT: Sourcing in the Emerging Europe. Long time no speak. Updates from my side. 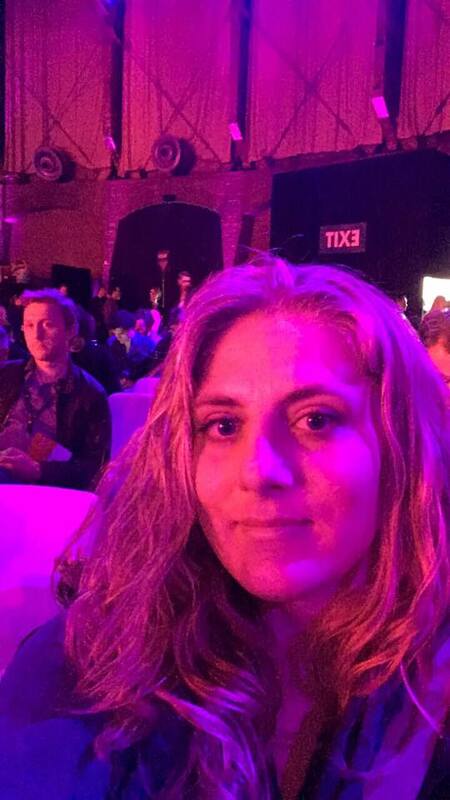 I did go to The Next Web. It was all awesome, I loved the talks from the Innovation location. And the closing party – it had its spirit and it is so inspiring to have fun in a company of the world’s most successful entrepreneurs. The biggest treasure of my visit to Holland, though, is a new business connection and a new partnership. Cossacks IT are mastering new areas – country PR and events on external markets. This time we are partnering with Emerging Europe and helping in the preparation of Outlook about Ukraine (Printed and Online versions) and an event networking seminar – meeting of Ukrainian IT companies with local businesses. It was a great ride of more than 3 months of preparation, communication with companies and experts. We were responsible for gathering a group of Ukrainian companies for the event. The event is next week, I will get back to you with my impressions and photos. We also did rebranding for the event. Or, rather, extra branding, creating new banners, leaflets and, most importantly, our new company mascot! 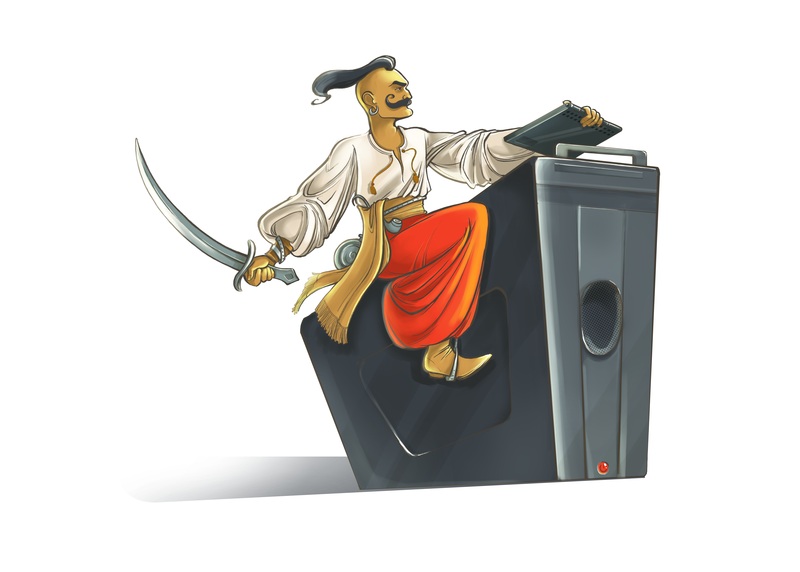 Please meet, IT Cossack, the right choice. Proactive and innovative. Dynamic and responsible. Honest and easy-going. Real IT Hero. Attention, there is an unprecedented campaign on PR of Ukraine in the UK. You have the chance to take part in it too! Gathers more than 50 experts, who will write expert articles about Ukraine whole 3 (!) months! They are already busy, you can read some here: http://emerging-europe.com/ukraine-2017/. The result is an increased interest in the country. Experience shows that with such an information wave even normal newspapers and magazines start writing about the country in focus. Great chance to discuss not war and corruption but real business opportunities. Publishes these articles in a glossy magazine (with an online version) and sends all this beauty to the leading companies in the UK! Organizes a conference in Ukraine for politics and big business of all spheres. Strategic things and really big projects will be discussed there. And the icing on the cake! At the end of the series of events, there will be a networking seminar on IT Outsourcing in Ukraine. Hi everyone. Long time no speak, and probably it is a good idea to tell you what we are here at Cossacks IT are busy with. First, almost a couple of months ago there was a great event, Outsource People, in which Cossacks IT also took part. This time we engaged into a project of Matchmaking, aiming at attracting foreign visitors to our conference. We established partnerships with Finnish, Danish, Swedish, German, Dutch, American companies to promote this event locally, and a half-a-year job was done. It resulted in not so many visitors from abroad, probably because conference on IT outsourcing is not a powerful enough stimulus to come to Ukraine. The conference was great, however, it is really a gathering event for our local IT community. And next time I am sure it will also become more interesting also for our foreign guests. 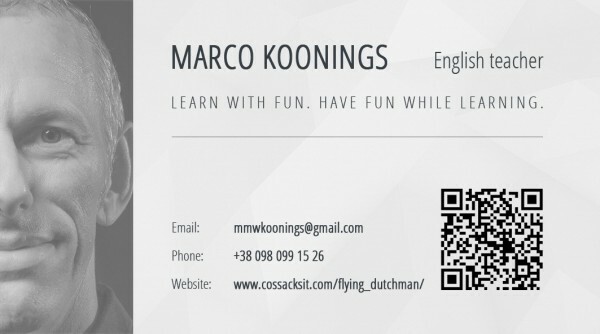 Cossacks IT is proud to introduce our partner, EU native, Marco Koonings, who provides insights into European culture and inspires fluency and ease when speaking to your international clients. 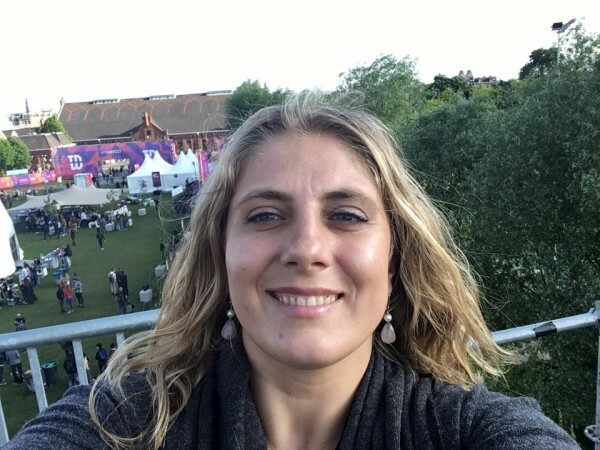 – Removing psychological speaking barriers. Almost all IT guys read and write English, but are shy to speak. Through our fun and easy-going conversations we learn how to overcome this. – Learning more about other cultures. I am Dutch, a EU citizen, with great experience of cultures around the world. And I am happy to share. – Team building through English speaking classes. People get closer by sharing ideas and discussing various topics that are not related to the immediate project needs. – FUN. Great fun while sharing ideas and learning to express yourself in another language guaranteed. BDMSummit in Kiev tomorrow – let’s go? We all are solving one and the same problem – reaching external markets, making ourselves heard, selling our services and solutions. Sometimes it is nice to gather together – to learn some new tips, interact, see each other and share our knowledge. Tomorrow in Kiev there will be a conference BDMSummit (http://bdmsummit.com/). EXCLUSIVE WORKSHOP on HOW TO BUILD (and develop!) A SUCCESSFUL SOFTWARE BUSINESS soon in KIEV! He is the owner of Bridge Global, a global software powerhouse and the founder of Ekipa.co, the global marketplace for software teams. He wrote 6 books about managing distributed teams. His passion is to enable cooperation between people from different cultures, geography and time zones. Long time, no messages. They were very busy three recent months. Cossacks IT actively participated in events and building communities. 1. First, in January, Jennifer Roberts from Ekipa.co and me organized her workshop on Cross-cultural communications http://blog.ekipa.co/intercultural_sales_cycles, both in Kiev and in Lviv.